Since 2017, I am a member of the technical staff of the entreprise cloud company Nutanix, working on resource management. I am on a leave-of-absence from the University of Nice-Sophia Antipolis where I was an associate professor, member of the Scale project inside the Comred team of the CNRS laboratory I3S. As a researcher, I worked on cloud computing and resources management. As a teacher, I gave lectures at the Polytech Nice engineer school. I am interested in resource management inside hosting platforms. This covers of course modeling, implementing and evaluating objective specific schedulers but also defining user friendly and robust solutions that are easy to use and to extend by non-expert users. I joined Scale in September 2011. Between March 2011 and September 2011, I was on a postdoctoral position at Flux, where I worked on the Emulab testbed (see my blog about this period). Prior to that, I was a Phd. student (2006-2009) then a postdoc (2009-10) at Ascola. I defended my Ph.D. thesis, entitled "Online Management of Jobs in Clusters using Virtual Machines", in November 2009 at the University of Nantes under the supervision of Gilles Muller and Jean-Marc Menaud. Prix de la croissance verte numérique (2009) The French Business Confederation rewards the development of ITs for sustainable development. I have received a prize with Jean-Marc Menaud for the development of Entropy, the former version of BtrPlace. Best thesis of the University of Nantes (2009) Doctoral schools reward three thesis that are considered as the best with regards to their associated publications and valuations. For this promotion, 20 thesis were competing. A composable virtual machine scheduler. BtrPlace is flexible by design to make it adaptable to a large range of management constraints (security, energy efficiency, dependability, performance ...). 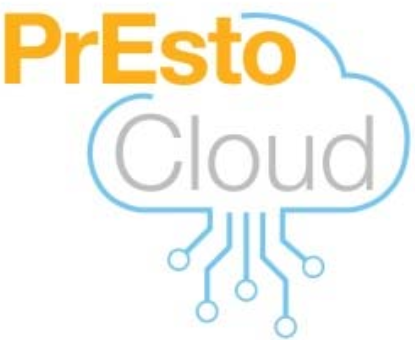 PrEstoCloud targets a dynamic and distributed software architecture that manages cloud and fog resources proactively, while reaching the extreme edge of the network for an efficient real-time BigData processing. The goal of DC4Cities is to let existing and new data centres become energy adaptive against the availability of renewable energy but also the requests received by the Smart City Energy Management authority. FIT4green aims at contributing to ICT energy reducing efforts by creating a energy-aware layer of plug-ins for data centre automation frameworks. Involved as a contributor. This course presents typical software architectures devoted to run scalable applications in public PaaS clouds. This course presents the virtualized infrastructures that are at the core of today cloud environments with a focus on solutions used to virtualize the computing infrastructure. 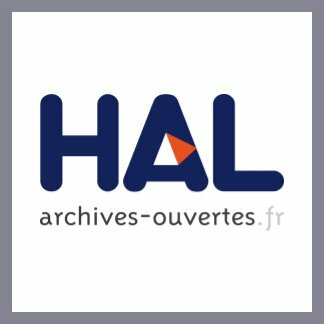 L'objectif de ce cours est de découvrir et de manipuler les technologies du Web au travers de différents travaux pratiques. This consists in coordinating the internships of the future master and engineer students. About 80 students, 20 academic tutors, and 80 supervisors to manage each year. Scaling Energy Adaptive Applications for Sustainable Profitability. Fabien Hermenier, Giovanni Giuliani, Andre Milani, Sophie Demassey. Europar'17 - 23rd Internatioan European Conference On Parallel and Distributed Computing. September 2017. Santiago de Compostella, Spain. Acceptance rate: 28%. Multi-objective job placement in clusters. Sergey Blagodurov, Alexandra Fedorova, Evgeny Vinnik, Tyler Dwyer, Fabien Hermenier. Supercomputing'15 - Proceedings of the International Conference for High Performance Computing, Networking, Storage and Analysis. Acceptance rate: 22%. Scheduling Live-Migrations for Fast, Adaptable and Energy Efficient Relocation Operations. Vincent Kherbache, Fabien Hermenier, Éric Madelaine. UCC'15 - 8th IEEE/ACM International Conference on Utility and Cloud Computing. December 2015. Limassol, Cyprus. Acceptance rate: 27.5%. An energy aware framework for virtual machine placement in cloud federated data centres. Corentin Dupont, Mehdi Sheikhalishahi, Federico M. Facca, and Fabien Hermenier. UCC'15 - 8th IEEE/ACM International Conference on Utility and Cloud Computing. December 2015. Limassol, Cyprus. Acceptance rate: 27.5%. How to Build a Better Testbed: Lessons From a Decade of Network Experiments on Emulab. Fabien Hermenier, and Robert Ricci. TrindentCom 2012: The 8th International ICST Conference on Testbeds and Research Infrastructures for the Development of Networks and Communities. Acceptance rate: 30%. Best paper award. An energy aware framework for virtual machine placement in cloud federated data centres. Corentin Dupont, Giovanni Giuliani, Fabien Hermenier, Thomas Schulze, and Andrey Somov. Proceedings of the 3rd international conference on future energy systems: Where energy, computing and communication meet. E-energy ’12. Madrid, Spain: ACM. Acceptance rate: 34%. Bin Repacking Scheduling in Virtualized Datacenters. Fabien Hermenier, and Robert Ricci. In Proceedings of the 17th international conference on Principles and practice of constraint programming (CP'11). Springer-Verlag, Berlin, Heidelberg, pages 27-41. Acceptance rate: 30%. Improvements since the publication. The Increasing NValue Constraint. Nicolas Beldiceanu, Fabien Hermenier, Xavier Lorca, and Thierry Petit. CPAIOR'10 : proceedings of the 2010 International Conference on Integration of AI and OR Techniques in Constraints Programming. Entropy : a consolidation manager for clusters. Fabien Hermenier, Xavier Lorca, Jean-Marc Menaud, Gilles Muller, and Julia Lawall. In VEE'09: Proceedings of the 2009 ACM SIGPLAN/SIGOPS International Conference on Virtualized Environments. Acceptance rate: 35%. Aspect-based Patterns for Grid Programming. Luis Daniel Benavides Navarro, Rémi Douence, Fabien Hermenier, Jean-Marc Menaud, and Mario Südholt. In SPAC-PAD'08 : Proceedings of the 20th International Symposium on Computer Architecture and High Performance Computing. IEEE Computer Society. Acceptance rate: 38%. Plug4Green: A Flexible energy-aware VM manager to fit data centre particularities. Corentin Dupont, Fabien Hermenier, Thomas Shulze, Rober Basmadjian, Andrey Somov, Giovanni Giuliani. Elsevier Ad Hoc Networks, nov 2014. 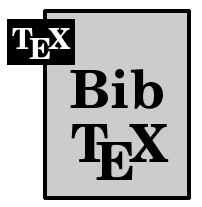 Btrplace: A Flexible Consolidation Manager for Highly Available Applications. Fabien Hermenier, Julia Lawall, Gilles Muller. IEEE Transactions of Dependable and Secure Computing (TDSC), vol 10, no. 5, pp. 273--286, Sept.-Oct. 2013. Planning live-migrations to prepare servers for maintenance. Vincent Kherbache, Fabien Hermenier, Éric Madelaine. VHPC'14 - 9th Workshop on Virtualization in High-Performance Cloud Computing. August 2014. Porto, Portugal. ACM. Higher SLA Satisfaction in Datacenters with Continuous VM Placement Constraints. Huynh Tu Dang, and Fabien Hermenier. In Hotdep'13 : 9th Workshop on Hot Topics in Dependable Systems. Farmington, USA. November 2013. ACM. Power Management in Grid Computing with Xen. Fabien Hermenier, Nicolas Loriant, and Jean-Marc Menaud. In XHPC'06 : Xen in HPC Cluster and Grid Computing Environments. Sorento, Italy. 2006. Springer Verlag. Ordonnancement contrôlé de migrations à chaud. Vincent Kherbache, Fabien Hermenier, Éric Madelaine. Compas'15 - Conférence d’informatique en Parallélisme, Architecture et Système. July 2015. Lille, France. Consolidation dynamique d'applications Web haute-disponibilité. Fabien Hermenier, Julia Lawall, Jean-Marc Menaud, and Gilles Muller. In CFSE 2011 : 8ème Conférence Francophone sur les Systèmes d'Exploitation. St Malo, France. Mai 2011. Changement de contexte pour tâches virtualisées dans les grappes. Fabien Hermenier, Adrien Lèbre, and Jean-Marc Menaud. In CFSE 2009 : 7ème Conférence Francophone sur les Systèmes d'Exploitation. Toulouse, France. Septembre 2009. Reconfiguration automatique du placement des les grilles de calcul dirigé par des objectifs. Fabien Hermenier, Xavier Lorca, Hadrien Cambazard, Jean-Marc Menaud, and Narendra Jussien. In CFSE 2008: 6ème Conférence Francophone sur les Systèmes d'Exploitation. Fribourg, Suisse. Février 2008. Memory and Network Aware Scheduling of Virtual Machine Migrations. Vincent Kherbache, Fabien Hermenier, Éric Madelaine. EuroSys'15 - European Conference on Computer Systems - Poster session. April 2015. Bordeaux, France. ACM. Placing Virtual Machines in a Cloud under Constraints - Reviewing 10 years of modeling. Joint ACP and GdR RO Summer School 2017. Looking for the perfect VM scheduler. École d'été Rescom 2017. 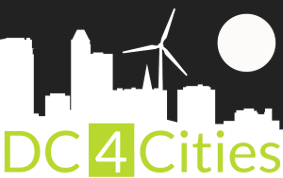 DC4Cities: let data centre be energy adaptive. Journées Cloud 2016 du GdR RSD. A flexible Virtual Machine placement algorithm for IaaS clouds to fit evolving user requirements. Rencontres Scientifiques des Utilisateurs du Calcul intensif, de Cloud Et de Stockage (SUCCESS) 2016. 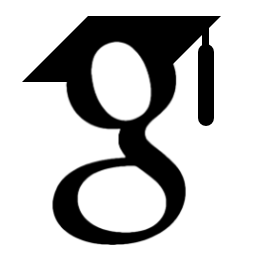 Expert for a CIFRE thesis grant.